The Victor Talking Machine Company made the first Victrola phonographs in 1906. 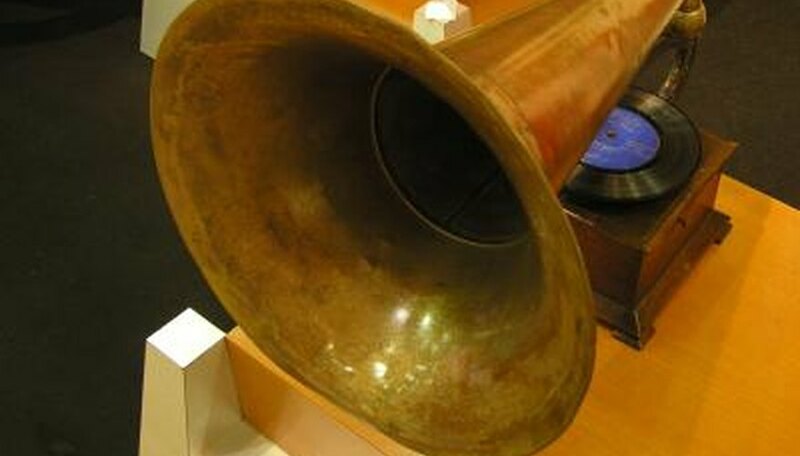 Companies like Edison and Pathe also made many phonographs during this time, but the Victrola remains distinct because it has an external bull horn. 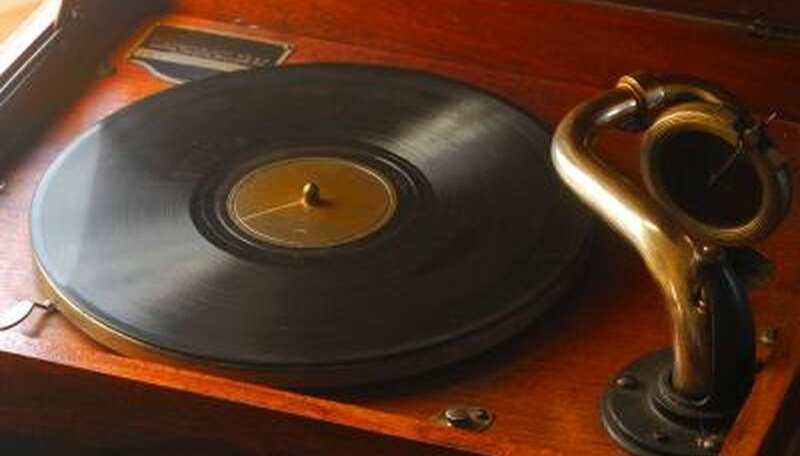 People who are interested in items like phonographs, antique music player and antique records now collect Victrolas. Some Victrolas are worth less than $100 and others are worth thousands. The value of these pieces depends on their model, serial number and condition. These seven models were the most commonly sold models of Victrola. According to Victor-Victrola.com there is a high likelihood that any Victrola you come across today is one of these seven models. Since these are the most common, they have to be in mint or near mint condition to be worth much money. Nonetheless some people do try to sell these models on Internet auction sites for over $1,000. Collectors look for this particular model because far fewer of them were made compared to other models. The Victor Talking Machine Company produced only about 1,000 of the VV-107 models, making it fairly rare. If you possess a VV-107 in good condition, it may be worth thousands of dollars to collectors. The XVI is highly valued, but not for the same reason as the VV-107. Unlike the VV-107, almost 200,000 XVIs were produced. The XVI model interests collectors because it is the first Victrola model produced by the Victor Talking Machine Company, and there are few left around in the condition collectors seek. If a XVI is in good condition, it is worth a lot to a collector. 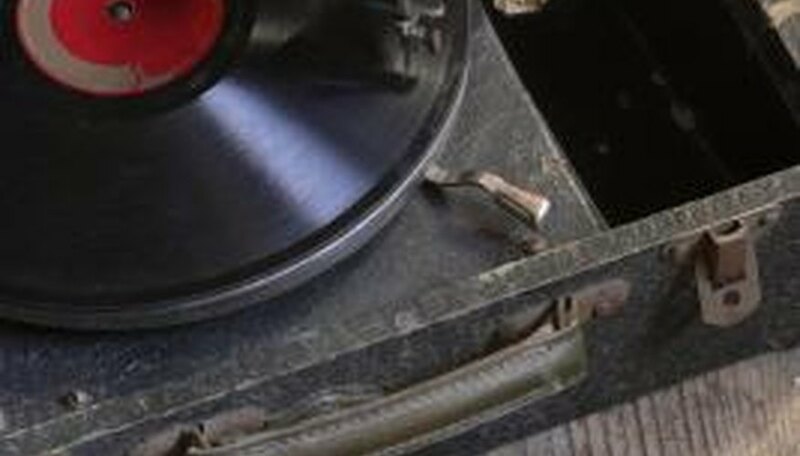 The condition of a Victrola often determines its value as an antique. According to Victor-Victrola.com, a VV-XI left exposed in an unfinished attic space is worth around $100-$150, while a Victrola of the same model in mint condition sells for over $750. Any model with the original shipping crate is worth far more than one without. The finish on a Victrola makes it stand out to collectors. The most common finishes are mahogany and oak, which add nothing to a Victrola's value. Collectors seek Victrolas finished in a walnut or finished in a custom paint job. These finishes substantially increase a Victrola's selling value. Almost all wood-spring Victrolas are favored over their electric counterparts. Collectors look for the spring-wood motor because it is an older technology and there are fewer spring-wood motors left in good condition. Emily Holland is a student writer earning a degree in international relations with a minor in Spanish from North Carolina State University. She began writing professionally in 2011, specializing in travel, education, literature and cultural issues. Holland has a certificate in Global Perspective and studied in València, Spain and Antiqua, Guatemala.